Thailand monsoon is located in the transition zone between the Indian and western North Pacific monsoons. Assuredly, proxy climate data from this area could improve our understanding of the nature of Asian monsoon. Tree rings and stalagmites from this area are two potential materials for high-resolution paleoclimate reconstructions. However, a comprehensive understanding of these multiproxy records is still a challenge. In this study, a 76-year tree ring cellulose oxygen isotope value (δ18O) of a teak tree from northwestern Thailand was developed to test its climatic significance and potential for multiproxy climate reconstruction. The results indicate that the interannual variability of cellulose δ18O can be interpreted as a proxy of rainfall in the early monsoon season (May to July rainfall) as well as a proxy of relative humidity. Comparisons with speleothem proxies from the same locality and tree ring records from wider geographical areas provide a basis for developing a multiproxy approach. 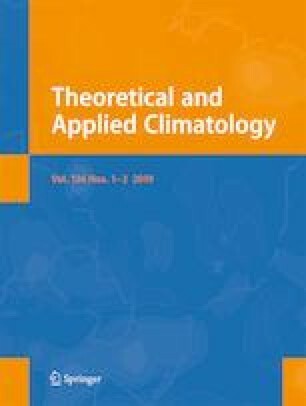 The results from a teleconnection analysis reveal that the El Niño-Southern Oscillation (ENSO) is an important climate mode that impacts monsoon rainfall in Thailand. High-quality proxy records covering recent decades are critically important not only to improve proxy data calibrations but also to provide a better understanding of teleconnections within the modern atmosphere. Preliminary findings demonstrated the potential of tree ring stable isotopes from Thai teak to develop multiproxy climate reconstruction. This research was funded under a project of Asian summer monsoon variability during the Holocene: a synthesis study on stalagmites and tree rings from Thailand and China by the Thailand Research Fund (TRF) (grant No. RDG5930014), the Natural Science Foundation of China (award number 41661144021, 41272197) and the Inovation Research Team Fund of Fujian Normal University (IRTL1705) as well as was supported by Mahidol University, Amnatcharoen campus.